Very excited about this kit! Thank you for the extra papers!! So glad I preordered! This kit is gorgeous!!! Thanks a lot for the announcements! More papers and international shipping, free of charge, that's really awesome! Awesome! You can do it - one story at a time. Would really ordre your wonderfull kit but I would be sure That it could arrived in Belgium around mid novembre to allow me some pre organisation. Expedited shipping means approximately 3-5 business days from the date shipped. Kits will be shipping mid-November (emphasis on early-mid not late-mid). Would definitely order the papers in digital. And those stamps. Any chance for digital offerings??? Will you be offering a digital version of the stamp set for purchase? I'm really starting to get excited about this kit and December...it just snuck up on me right now! Can't wait to start documenting. It's beginning to look a lot like Christmas! LOL! So much goodness. The kit looks amazing Ali! This is my first time using a December Daily kit and I'm really excited. Thanks so much for the expedited shipping. That's a big comfort to me in the UK knowing it will arrive in time. I can't wait for it to arrive so I can start playing now! I'm going low key on DD this year. Words and photos, nothing else. But man are you making that hard!! Love all of it! 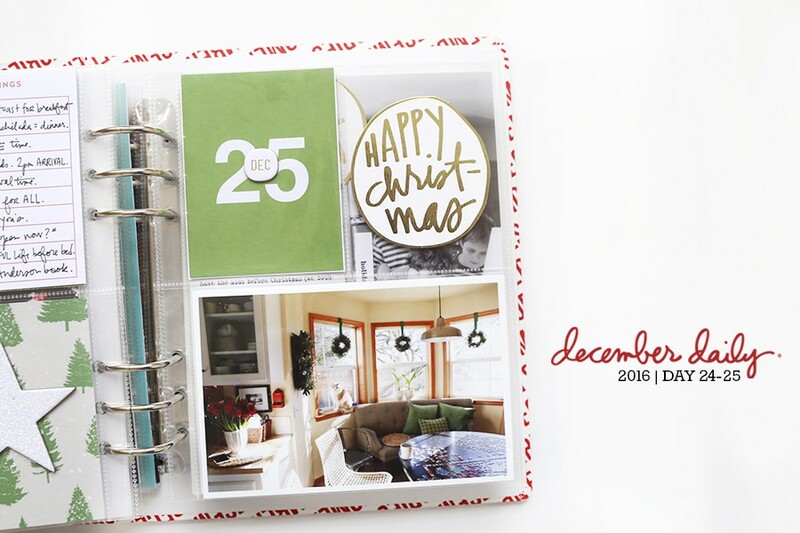 Are you releasing any more physical Christmas stamp sets before December? I am so delighted with the update ali, I am super excited to start this project again. Finishing off my WILT today, so glad i joined in on it. This is great news! I have done 5 years of December Daily now, and this is my first year where I have purchased a kit to help me. Now with the news about expedited shipping I may also try pre-assembly of my album for the first time too. I am in New Zealand, so will be great to possibly get this before December 1st! Very excited! Can you tell us once we start getting our kits and in December will you be opening up the classroom area for December Daily like it has for Week in the Life? It was such a great sharing environment and helped me stay on track with the week and gave me so many ideas and inspiration or photos and moments in our everyday life. It was my first week in the life and this will be my first December Daily. I remember doing this when you first started and love that you now have kits. So are there instructions for each page? Are there prompts if you don't buy the kit? Hi - this album does not come with instructions although I do share my process both in working with the album before and every day in December. 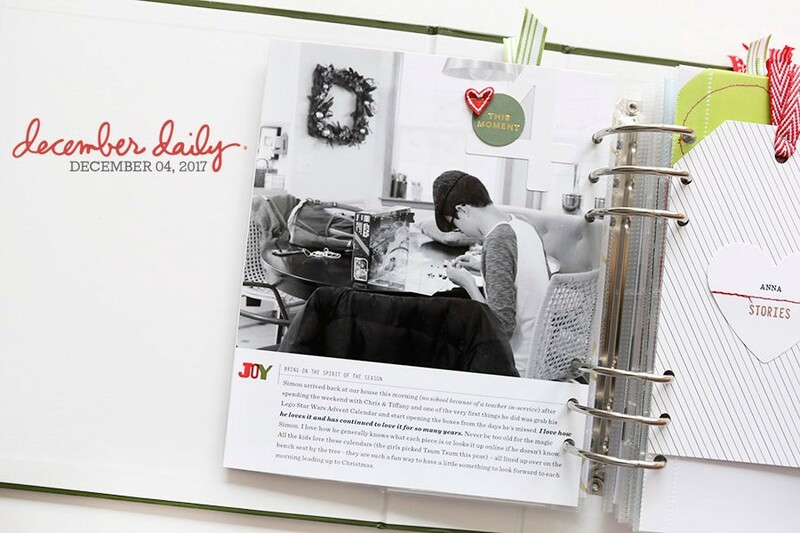 You can view my past posts here to get an idea of what each day on my blog looks like in December. Expedited shipping for international orders is a very welcome thing. I live in a capital city in Australia and order my DD on 15 November and it didn't arrived until 29 December. I order the WITL kit on 3 October 2014 and it still hasn't arrived. Love it, will you be doing an option without the album? With our dollar a little low atm (Australia) it becomes a bit pricey at this time of year even with the generous offer of expedite shipping OS. Hi - we are not doing an option without the album this year. We will definitely consider it for next year. This is so awesome! Can't wait to get started! I'm using the red (but either are designed to be great for the holiday). Is the red album cover a TRUE 'red-red' (like last year's red spine on the album), or, is it appear more like a vintage, burnt "orangey" red? The photo looks like it is more like a vintage red-orange (and not the TRUE 'red-red' like last year's album). Hi - it is a warmer red this year (has more orange in it).